Despite its surging popularity, cosmetic dentistry is still something that many people are not familiar with. Furthermore, those people that do know about cosmetic dentistry mostly have no idea as to what kind of services a North Richland Hills Dentistry service provider offers. It is no secret that the cosmetic dentistry technology has come a long way. These days, we can rely on a plethora of procedures, with which we can achieve a perfectly healthy and beautiful smile. With this mind, let’s go over some of the most popular cosmetic dentistry procedures offered by the reputable dental services in the North Richland Hills area. Teeth whitening is undoubtedly the simplest and most popular cosmetic dental procedure. The technology behind teeth whitening has advanced dramatically in the last few years, and it is now capable of completely changing one’s smile. Yellow stains on our teeth is a rather common occurrence, and it comes as a result of cigarettes, coffee, and various foods. If you want to get rid of those, all it takes is a simple teeth whitening procedure, which is quite affordable, short, and completely painless. This procedure is somewhat more advanced than teeth whitening. It mainly focuses on reshaping cracked, chipped, or crooked teeth quickly and efficiently. By applying colored lamination and reducing some of the tooth surface areas a dentist can truly work small wonders when it comes to altering and enhancing the look of a tooth. This procedure is mainly used as an alternative to wearing traditional braces. When placing a crown, a dentist covers a damaged tooth from the gum line. 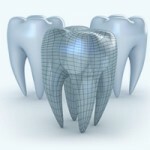 Besides strengthening the tooth, a crown can also improve a tooth’s appearance, alignment, or shape, as well. Not too long ago, crowns were made as a combination of metal and porcelain, and they were not so natural-looking. These days, crowns are fully made from porcelain, and they are much more comfortable, natural-looking, and durable. The purpose of this procedure is to apply a composite material that fulfills the role of enamel. With this material, various tooth shapes can be formed, before they are polished and hardened into a permanent form. If a patient wants to close teeth gaps, they can also resort to placing veneers as well. These are custom-made laminates, which permanently bond to already existing teeth. To fit the veneers properly, a dentist will slightly reduce or reshape the teeth during this procedure. These come as a perfect option for someone who wants to change the shape, size, and color of their teeth for a more aesthetically pleasing smile. 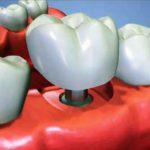 The construction and placement of these items are a complex procedure, which has the aim of replacing one or more teeth with artificial tooth/s and crowns over the existing ones, at both ends of the bridge. If there is a missing tooth, a partial denture can be placed and connected by crowning the teeth around the missing tooth. Dental bridges are often considered a better alternative to removable partial dentures, aesthetics-wise and comfort-wise. Paying a visit to your dentist at least twice a year will help you ensure a healthy mouth. 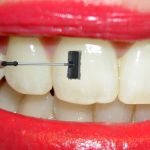 Your dentist will use his/her expertise to remove tartar, and plaque that is practically hard to clean yourself. If you make a combination of regular flossing and brushing with a regular dentist`s office visit, be sure of a more confident smile. Furthermore, you will protect your tooth from decay, periodontal disease, tooth loss, and many other forms of gum diseases. 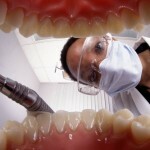 Having your teeth cleaned has a dramatic impact on your oral health. If your dental hygienist detects any signs of gum disease or decay, you can act promptly, and prevent future tooth loss. Gum disease is treatable and is reversed before it leads to serious damage. 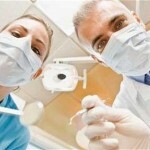 Furthermore, teeth cleaning will aid in preventing and treating bad breath. Your dentist will help you remove tooth stains caused by tea, coffee, or tobacco. Therefore, if you maintain a good oral hygiene, be sure of keeping your natural teeth. Inflammation of the gums is caused by the bacteria and plaque build-up around your teeth. The plaque build-up leads to bleeding gums and swollen gums when you brush your teeth. Plaque is an accumulation of bacteria and food around your teeth, and it needs to be cleaned off more often to keep your mouth healthy. Good oral hygiene is an excellent way to keep bad breath at bay. Your mouth will start to smell if you do not clean it regularly. Hence, it is advisable to clean your mouth at least twice a day so that it does not start to stink. Nonetheless, even if you floss and brush regularly, going for a dental cleaning is an excellent way to keep your mouth odor-free and healthy. Your dental hygienist will help you to detect any early signs of problems with your gums or teeth. 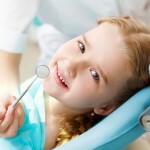 Early detection of broken fillings, gum disease, and cavities are readily treatable. If these problems are left untreated, gum surgery, root canals, or removal of teeth could become the only treatment option to be considered. Therefore, always consider regular teeth cleaning to avoid costly treatments caused by delays. There is a significant connection between overall health and oral health. Hence, regular dental cleanings can help to lower your risk for some diseases, such as stroke and heart disease. Furthermore, your dental hygienist can detect many medical conditions in their early stages during the routine oral exam. 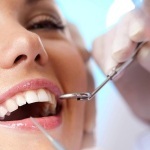 Therefore, to keep some the life-threatening diseases at bay, regular teeth cleaning should be a priority in your life.